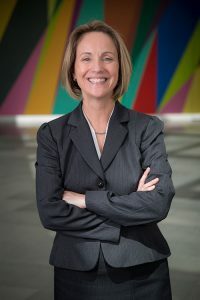 Mimi O'Brien became the executive director of The Mary Duke Biddle Foundation in December 2012. She joined the foundation after a 21-year career in corporate and foundation development at Duke University. As part of her work at Duke, Mimi staffed the Josiah Charles Memorial Trent Foundation, serving as executive director from 1997-2012. The Trent Foundation was established by Mary D.B.T. Semans (daughter of Mary Duke Biddle) and her husband, Dr. James H. Semans, in honor of Mrs. Semans’ first husband, Dr. Josiah Charles Trent. During this time, she had the opportunity to work closely with the Semanses and the Biddle Foundation. Mimi has an M.A. from Duke University and a B.A. from Berea College (KY). She volunteers with several Durham organizations through the Rotary Club of Durham. She has served on the Board of Directors of the Duke University Federal Credit Union and the Rotary Club of Durham. Originally from Dayton, OH, she is pleased to call Durham home. Kathy Harrison, a proud native North Carolinian, graduated from Meredith College. She worked with Spectator Publications for over 13 years in Raleigh, NC. After Spectator, Kathy worked in the State Capitol under Governor James B. Hunt’s last administration before coming to The Mary Duke Biddle Foundation in the fall of 1997. In addition to her work with the foundation, Kathy was Dr. and Mrs. Semans’ personal assistant and gained great knowledge of the people, the arts and education throughout North Carolina and New York City through them. Kathy lives in Chapel Hill and enjoys gardening.